In one of Grey's first cases as an agent of the queen, he goes from the sparkling echelons of Victorian London to its dark underbelly, facing occult conspiracies, a rampaging monster, and the city's most infamous secret society: The Heliopic Brotherhood of Ra. 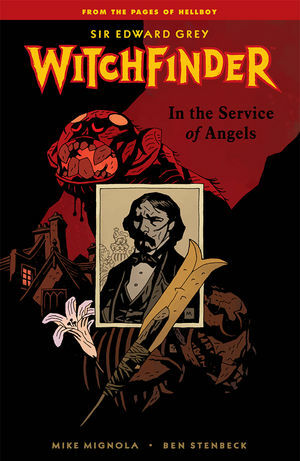 * Collects Witchfinder: In the Service of Angels #1-#5. * This volume also includes "Witchfinder: Murderous Intent," from MySpace Dark Horse Presents #16, by Mignola and Stenbeck, and "Henry Hood: The Burial of Katharine Baker," from Hellboy: The Wild Hunt, by Solomon Kane writer Scott Allie and Abe Sapien: The Haunted Boy artist Patric Reynolds!